The parent company of MAN and Scania has changed its name – though the newly-rebadged Traton Group will retain its links to parent company Volkswagen for the foreseeable future. 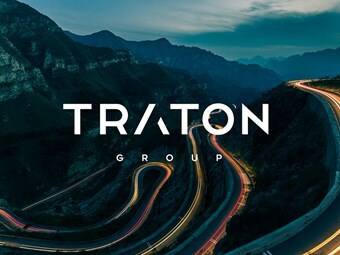 Officially ditching the name of Volkswagen Truck & Bus last week, Traton will also incorporate digital services comapny Rio and the Brazilian group Volkswagen Caminhões e Ônibus – though each of the marks will retain their identity under the new body. Traton CEO Andreas Renschler says the company is aiming to become the most profitable and innovative player in the sector, saying the new company has the benefit of experience but with the "unique character of a start-up." "This combination is what it takes to re-invent transportation for future generations," Renschler says. "We aim for nothing less than transforming the way we do our business – and our customers will benefit from that." The company’s first moves in this direction were in building up its partnerships with companies such as Navistar in North America, Hino and Sinotruk in Asia, and Volkswagen Commercial Vehicles, he says. These partnerships helped to realise synergies in purchasing and research and development, the company says, adding that the new name would help the company to be more visible as a leader in innovative transport solutions. However, Renschler says there won’t be a Traton-branded truck hitting the highway any time soon. "For our customers, nothing changes due to the name change. Our brands will continue to provide strong solutions to serve their customers’ demand," he says. "With this unique set-up, we are perfectly positioned to deliver the best solutions – and by that to re-invent transportation for future generations."